There are many different types of night guards, and each has its own purpose. From anti-snoring guards to mouthguards that protect you in sports to those that keep you from grinding teeth in your sleep, you have a full range to choose from. It is important to speak with a dental professional if you are considering a night guard so that you can ensure you select the right type for your specific need. How Many Types of Nighttime Mouth Guards Are There? Anti-Snoring Devices – These mouthpieces help stop or reduce snoring by pushing your lower jaw forward. Because your jaw’s position affects snoring, these devices shift the jaw so that the soft tissues in the back of your throat will no longer cause resistance and turbulence, which creates the snoring sound. Occlusal Splints – Also known as “bite splints,” these mouth guards are worn to protect your teeth and any tooth restorations. They can also be used for jaw problems, such as chronic headaches. Anterior Deprogrammers – These mouth guards are designed to relax the jaw muscles and prevent you from clenching or grinding your teeth in your sleep. They can be worn during the day as well if you tend to clench or grind teeth during the day. Mouth guards can be purchased stock, meaning, off the shelf and ready to wear. You can also purchase the boil-and-bite varieties, which are made from an acrylic gel designed to hold its shape. Custom-fitted night guards are usually the best option, although the most expensive; but certainly worth the investment in protecting your teeth and getting better sleep. These mouth guards offer maximum comfort and protection because they are created by a dental professional to suit your mouth and its unique properties. What is the Difference Between Night Guards and Sports Mouth Guards? Sports mouth guards are designed to protect your teeth during rigorous activity, but you may be wondering if you can use your sports guard for nighttime teeth grinding. Most off-the-shelf mouth guards are designed specifically to protect against damage but are bulkier and uncomfortable for nighttime wear. They are also ineffective compared to night guards that have been specifically designed for a dental purpose (i.e. snoring, grinding, etc.). Not everyone has a need for night guards or mouth guards. If you play contact sports, you should always wear some sort of protective device in your mouth. If you snore, grind your teeth or want to protect dental restorative work while you sleep, you should speak with your dentist first to see which type of guard would work best for you. If you are interested in getting custom fitted night guards, visit your dentist today. 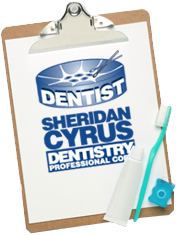 Call Dr. Cyrus at 416-287-2426 today to schedule an appointment.